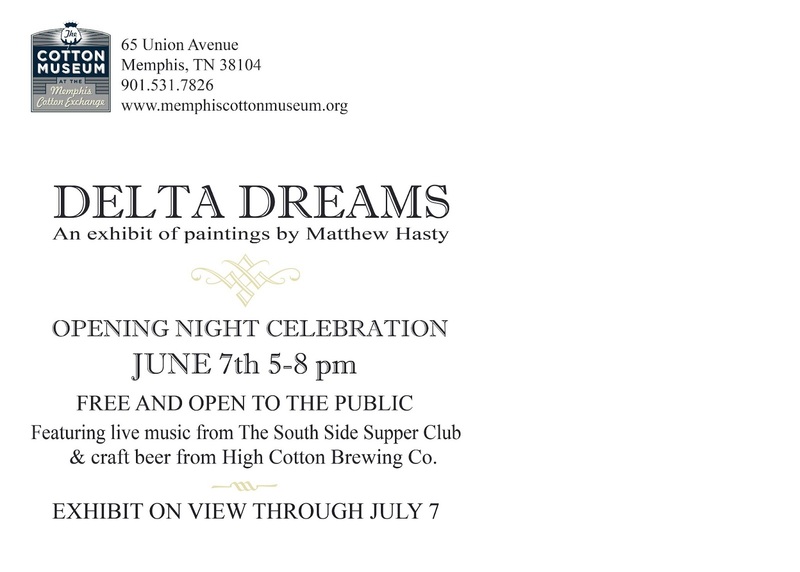 On June 7 from 5-8 pm the Cotton Museum celebrates the opening of Matthew Hasty's exhibit Delta Dreams. This body of paintings offers a view of our region's landscapes from the dreamy perspective of one of Memphis' most collected local artists. Often misty, moon lit or caught in the ethereal light of dusk, his work gracefully reminds local viewers of beauty that might easily be overlooked. That night we'll toast with local beer from the new High Cotton Brewing Company and enjoy live music from The South Side Supper Club. 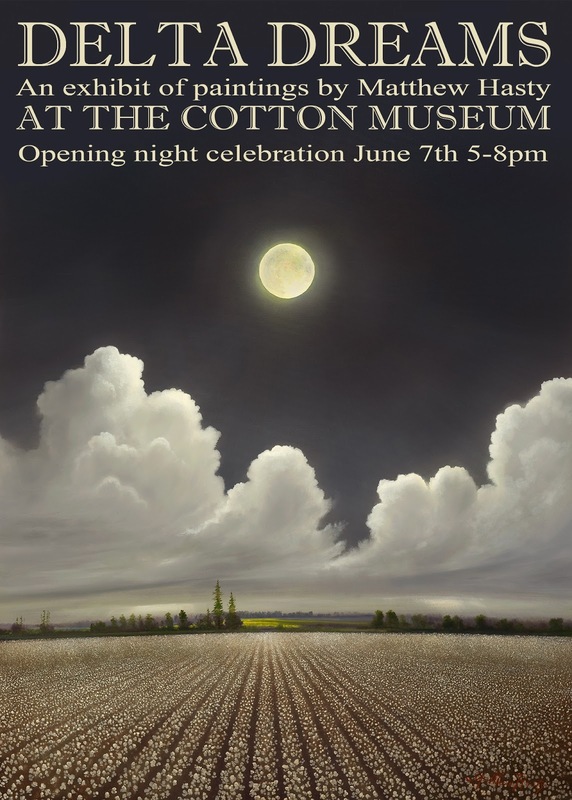 This exhibition and reception are part of the Cotton Museum's ongoing Making the Delta program which shares the work of our region's most innovative artists. Through this program we invite visual artists from Memphis and across the South to share their work with the community, displaying their art in our unique historical setting. Our goal is to bring their work to new audiences and contextualize the pieces in our city's history - their creative insight can make surprising connections between past and present. The opening night party is free and open to the public. Delta Dreams will remain on view through July 7 and is included in regular admission.